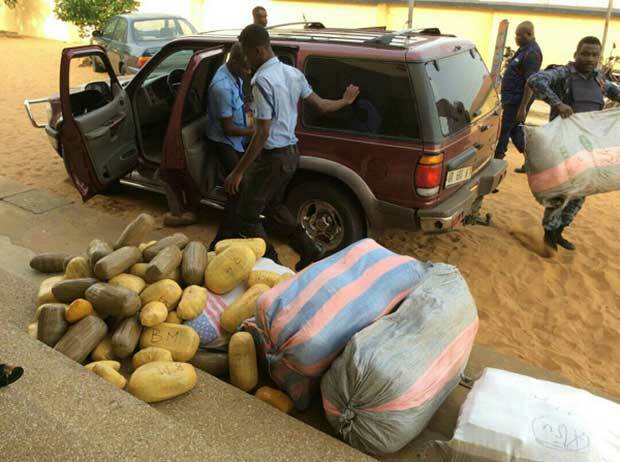 The police have intercepted 105 parcels of compressed dried leaves suspected to be cannabis, also known as Indian hemp, at Penyi near Dzodze in the Volta Region. According to the police, the occupants of the Ford Explorer vehicle with registration number VR 693 - W, which was carrying the parcels, absconded upon seeing the Police patrol team from Keta approaching at about 5 p.m. Confirming the incident to the Daily Graphic, the Keta Divisional Commander, Assistant Commissioner of Police (ACP) Mr Alex Amenyo, said acting on intelligence the police decided to patrol the Tadzewu-Devego road. He mentioned that while on duty, the police saw the vehicle and signalled the driver to stop. However, the driver refused to stop and rather reversed the vehicle and drove towards Penyi. ACP Amenyo said the police chased the vehicle until the driver drove into a ditch at Penyi and escaped. A search of the parcels, he stated, revealed the compressed leaves concealed in six fertiliser bags. The police commander appealed to the public to volunteer information to assist the police in their investigation, adding that the issue of narcotic business was becoming very rampant in that area. ACP Amenyo said the police had intercepted a large number of such parcels in less than a month. They included 89 fertiliser sacks with parcels of cannabis on the Ave Hevi-Avalavi road on a Mercedes Benz cargo truck with Togolese registration number TG 3367 AO. 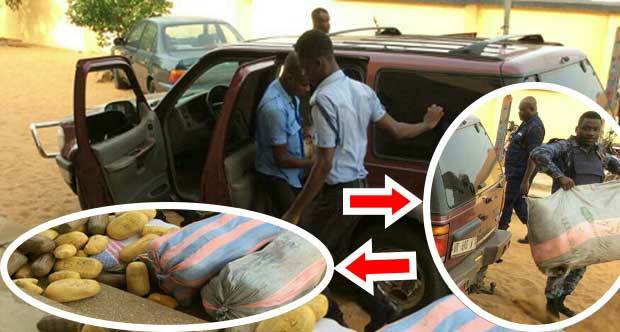 He observed that four suspected persons — Vincent Dordorwode, Dotsey Agbeviade (driver), Inusa Ahliha (mate) and Gideon Kortsi —who were arrested with the vehicles were currently facing trial at the Keta Circuit Court for possessing narcotic drugs without lawful authority. ACP Amenyo disclosed that Dordorwode attempted to bribe the police with GH¢10,000, an amount being used as an exhibit to support the prosecution’s case in court.